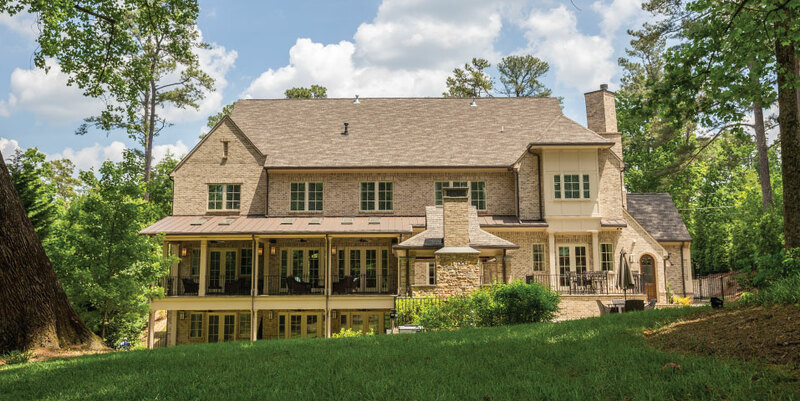 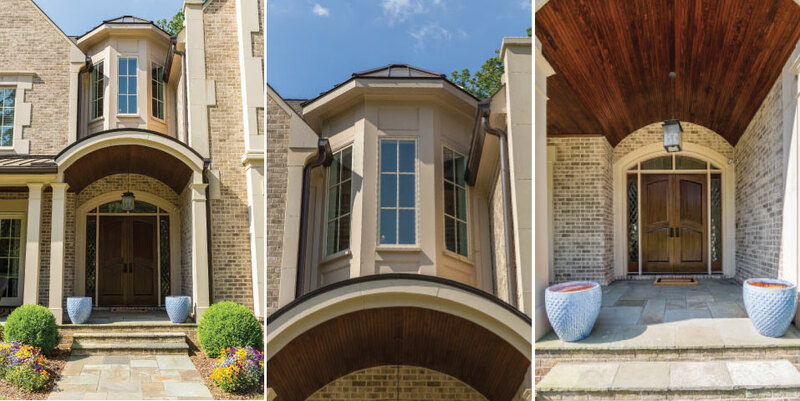 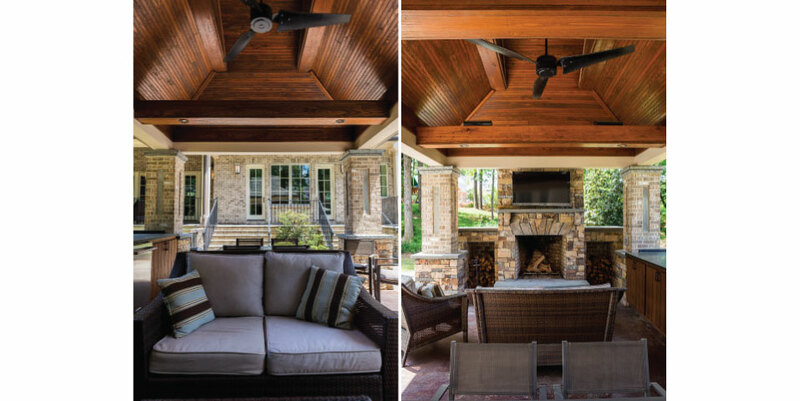 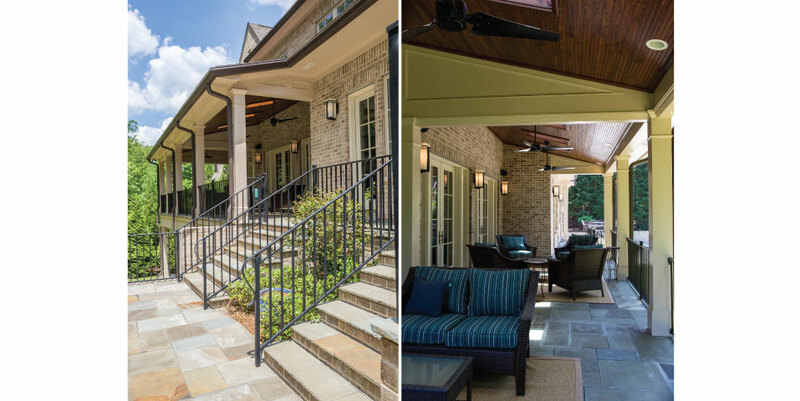 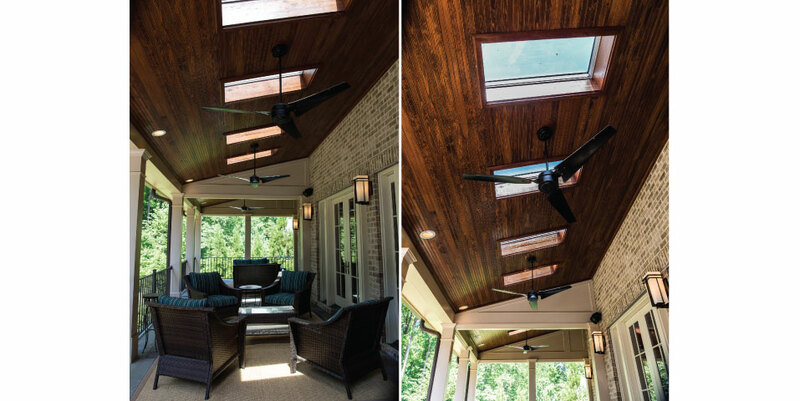 This new, custom home in Sandy Springs is a modern interpretation of traditional English manor architecture emphasized by its materials and unique composition. 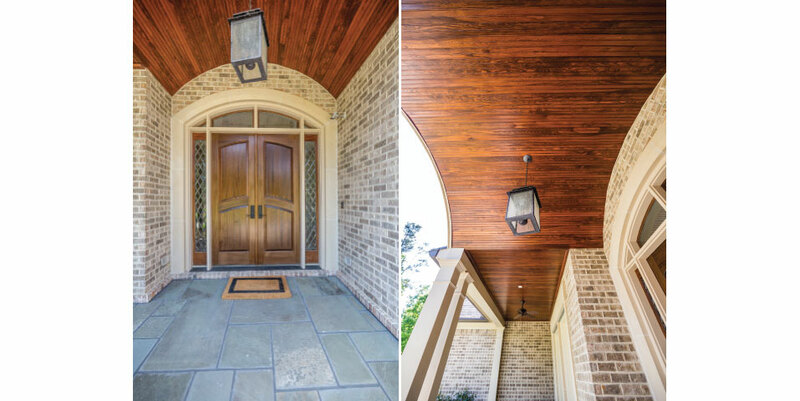 It features modern classic lines of earthy bricks, clean-cut limestone, and rich wood resonant of elegant country estates. 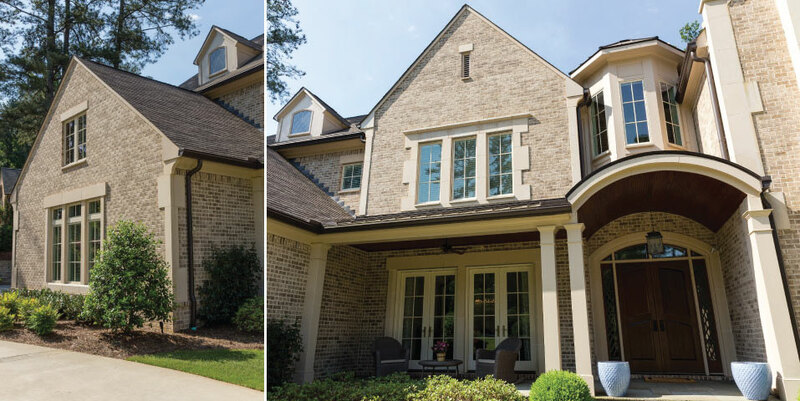 A long facade is balanced by verticality: broad towers, offset chimneys, casement doors and windows that invite natural daylight. 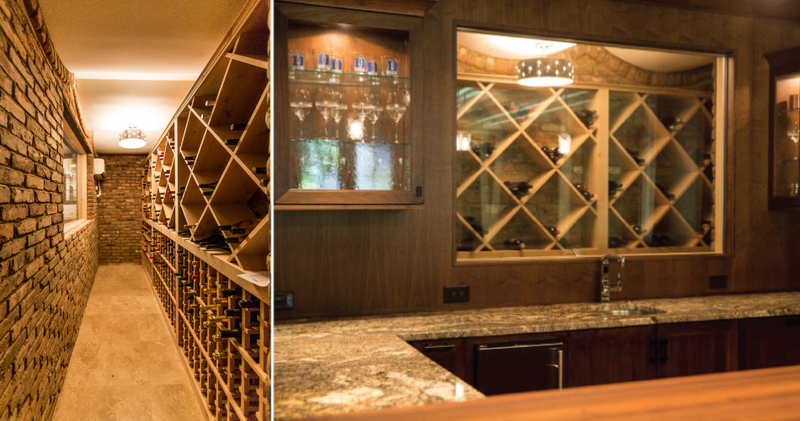 Our architect and designers incorporated similar contemporary accents throughout this high-end home’s modern interior, which includes a professional chef’s kitchen and sleek wine cellar. 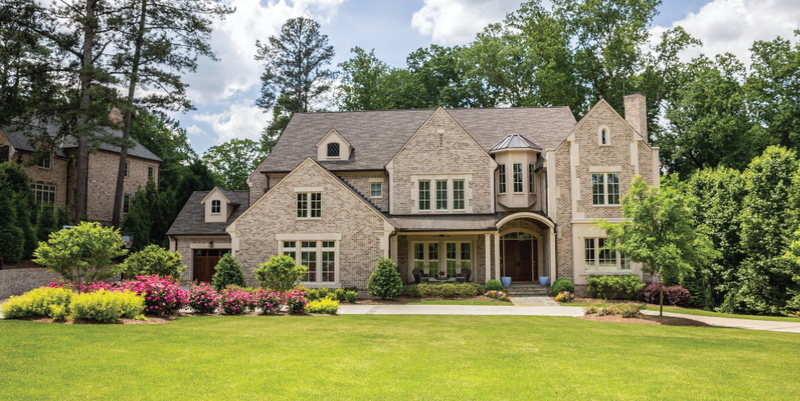 Thoughtful highlights recall historic English architecture in a contemporary way: modern oriel window bay, unique barrel-vaulted entry porch, soaring foyer with accent tray ceiling and diagonal parquet floor inlay, coffered ceilings and clean, simplified details throughout. 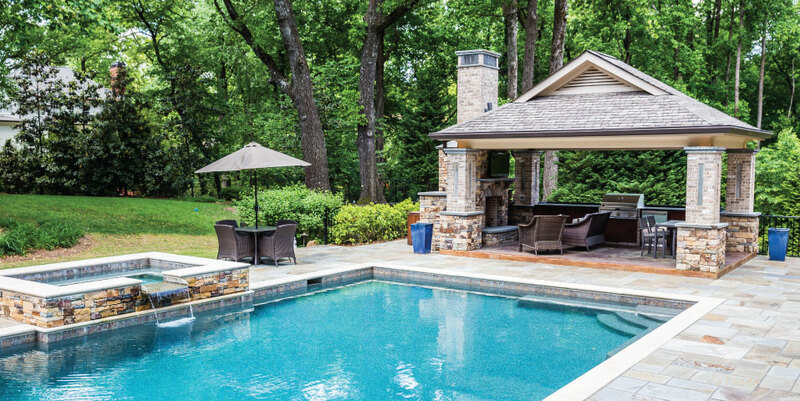 Accessible outdoor living spaces include large, covered porches and custom pool cabana overlooking the pool and picturesque landscape.